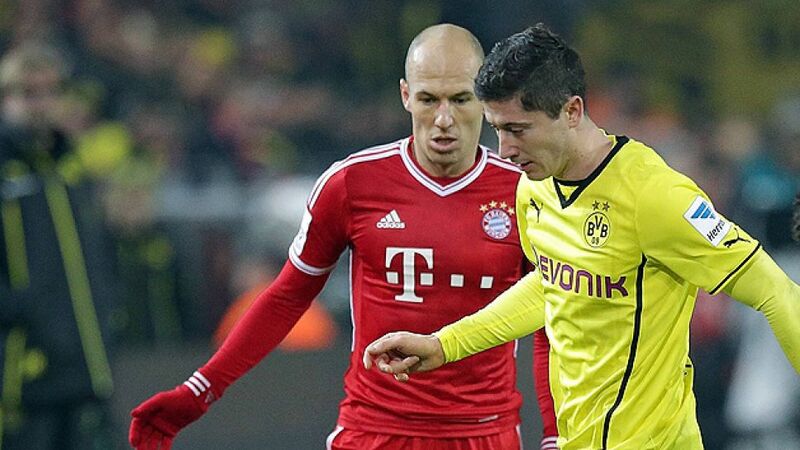 Munich - FC Bayern München already seem to have pulled off the deal of this winter's transfer window by agreeing the signing of striker Robert Lewandowski from rivals Borussia Dortmund in the summer. (speaking to Sport1): I think he's a great player and one of the best strikers in the world. We're already pretty strong but he'll make our squad even stronger, and that can only be a good thing. Karl-Heinz Rummenigge (FC Bayern München CEO): "We're very happy this transfer has gone through. Robert Lewandowski is one of the world’s top strikers. He will not only strengthen our squad, but his arrival will also give the entire club a boost. Matthias Sammer (FC Bayern München sporting director): This is a transfer for the summer, so we can discuss everything about the summer when it actually arrives. We have said everything we have to say, and so has the player. At the moment he is still a Borussia Dortmund player, and our relationship with them is still very good. Hans-Joachim Watzke (Borussia Dortmund CEO, speaking to the Frankfurter Allgemeine Sonntagszeitung): It's not a surprise to us, it's what we expected. We were informed in good time and all parties have communicated with the others. Obviously we aren't happy to be losing a player like him but the club will still go on playing football.